Using our projections for UFN147: Till vs. Masvidal, I have put together a MMA DFS cheatsheet for tonight’s event. These guys will be the core of my lineups on DraftKings. 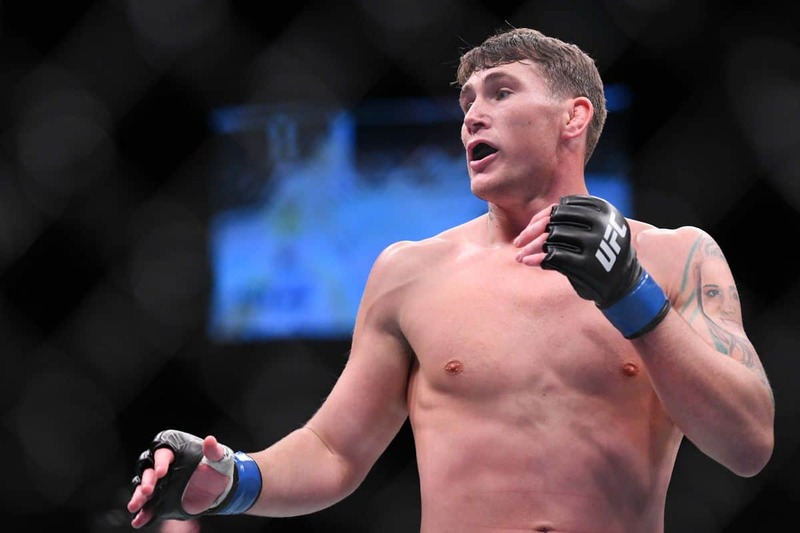 We’re starting at the top with Darren Till. As of right now, Till is the guy I have the most exposure to. It would be impossible for him to look worse than he did against Woodley, so that’s helpful. Jorge Masvidal hasn’t been finished in a fight since May 1, 2009. That loss? Toby Imada’s inverted triangle at Bellator 5. Yes. 5. That submission was the best of the year in 2009. I’m confident that Till won’t hit him with the inverted triangle in this one. I think Masvidal will have an issue with Till’s size. The question is, can Till keep up the pace over 25 minutes, because Masvidal isn’t going anywhere? I think the answer is yes, which should lead Till to a massive significant strike total. If he can find a finish, even better. Dan Ige is in an interesting spot against Danny Henry. Ige is a black belt in jiu-jitsu and a brown belt in judo. His goal is dragging this fight to the ground. Striking isn’t really his forte. Henry is yet to be taken down in his UFC career, but I think that streak ends today. Henry is tall Featherweight at 6’0”, with Ige coming in at 5’7”. The story of this fight will come down to Henry staying on his feet. He’ll need to use his length to keep Ige at range. I’m not sure he’s going to be able to do that. I see Ige controlling this fight on the ground, leading to a decision. I’m expecting him to accumulate enough grappling stats to get me to the 100-point mark. With Anthony Smith losing to Jon Jones, Dominick Reyes is the new flavor of the week at Light Heavyweight. This feels like a great spot for the #8 Reyes. Volkan Oezdemir has taken a ton of punishment in his UFC career, as evidenced by his 4.8 strikes absorbed per minute rate. Reyes keeps a massive pace for a 205 lb. guy, landing 6.5 strikes per minute. I’m not sure Oezdemir can handle that sort of volume. I believe we’ve overreacted to Oezdemir’s power. Sure, he shut off Misha Cirkunov and Jimi Manuwa. As it turns out, a lot of people do the same thing. Reyes wins big here. In his 21 wins, ‘The Welsh Wrecking Machine’ John Phillips has 18 KO/TKOs. A similar story can be told for Jack Marshman. These guys are coming out to throw hands, and I think Phillips has a better chance to finish this fight. That makes him incredibly appealing at just $7400. Let me be clear here: John Phillips isn’t a very good fighter. He’s simply going out there looking to put Marshman to sleep. I see him as an excellent budget GPP play. He’s not a guy I’d be looking to in cash games. Molly McCann is the final fighter in my core, as she takes on Priscila Cachoeira. They both were submitted in their first UFC fights, with Cachoeira getting choked out by current Flyweight champ Valentina Shevchenko. This fight is going the distance. I expect McCann to simply out-work Cachoeira over 15 minutes. This will be an ugly war of attrition. I see this fight as the opposite of the Phillips/Marshman fight. I’m much more likely to use McCann in a cash game.